Arabia (ISSN Print: 2085-644X; Online ISSN: 2502-2482) is a research and thought journal that discusses Arabic language education. 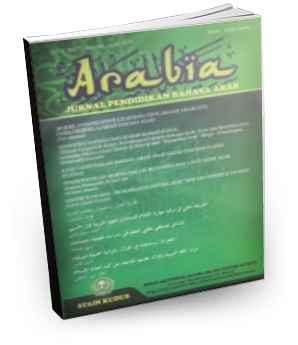 Arabia is published by the Arabic Language Education Study Program Tarbiyah Sekolah Tinggi Agama Islam Negeri (STAIN) Kudus twice a year ie the period January and July. Arabia has a vision to become a scientific journal of international quality Arabic language that is indexed Scopus.